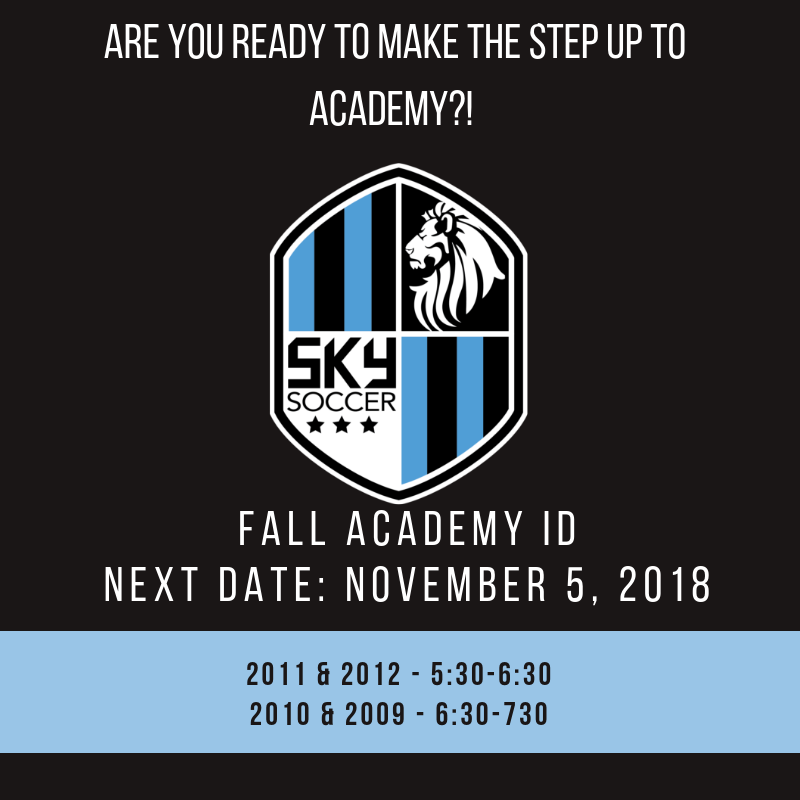 ANY child born in 2009-2012 that wants to get acquainted with the SKY Academy Program. Please wear shin guards, bring a soccer ball, and plenty of water! If your child was born in 2012 or 2010, please have them wear a GRAY shirt, if they were born in 2011 or 2009, please have them wear a black shirt. SKY Academy staff coaches will run a technical training session that will get the kids moving and playing for the entire hour. This is not a tryout, this is just a great way to get out and play for another hour! We will have a question and answer session with Evan Sutherland, the Director of Coaching for SKY Academy, while the kids warm-up. We look forward to seeing everyone out on the fields today!